The first creative person to feature in my Shetland Showcase is my lovely friend Ella Gordon. Ella, a true home-bird, lives, works and breathes knitting and creativity. 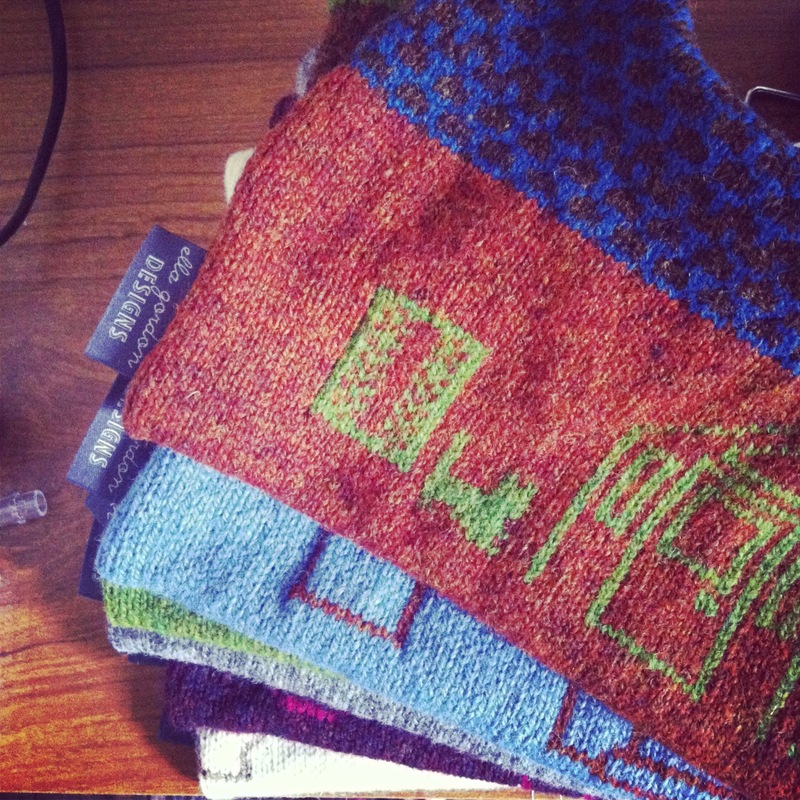 Her life is very much part of the 21st century knit and creative scene in Shetland. 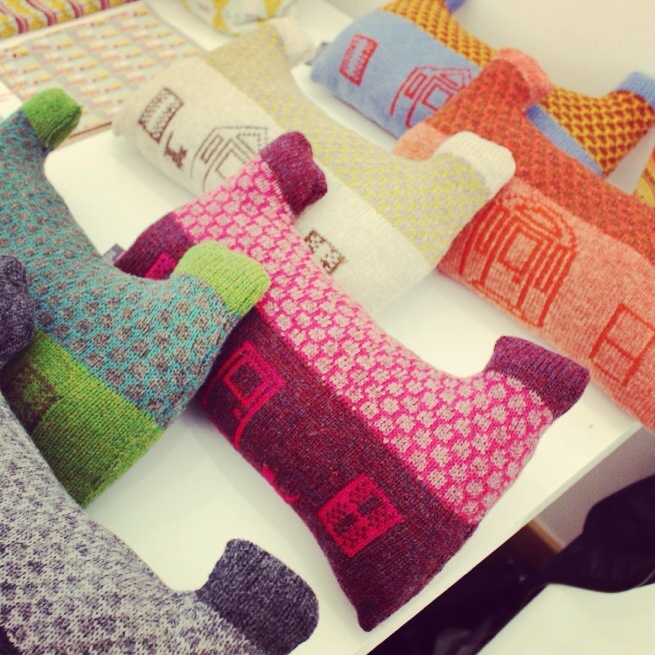 We studied together at Shetland College and she decided to stay on in Shetland to set up her own business after we completed a BA in Contemporary Textiles. She spends her days working at Jamieson and Smith – the wool brokers in Lerwick. I asked her a few questions surrounding being a creative person on a small island and about our ‘Northern Identity’ which I am exploring at the moment. 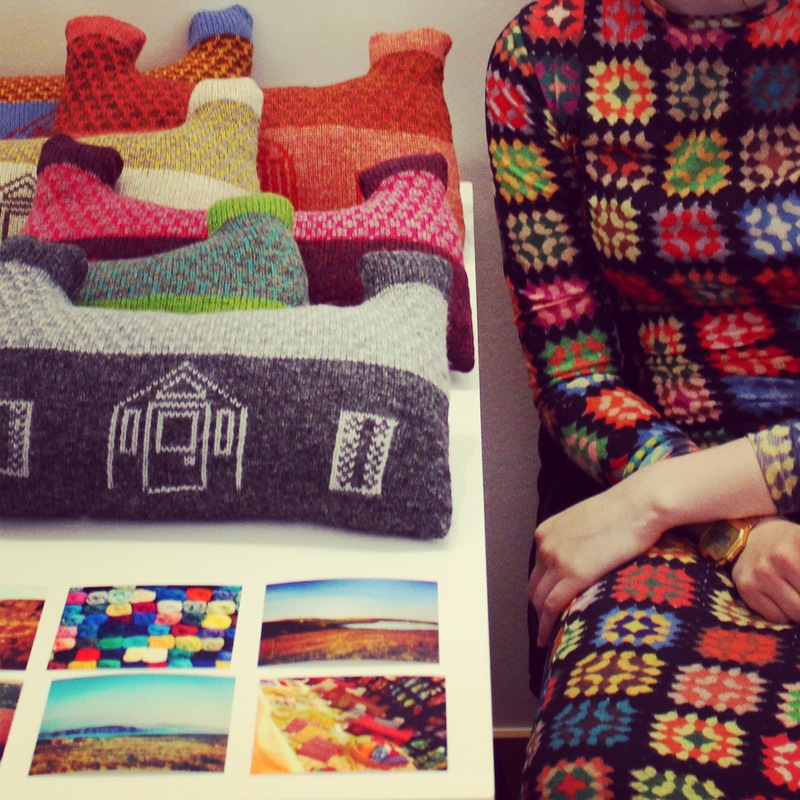 Handmade knitted items inspired by the Shetland heritage and culture. Is Shetland your main inspiration? What other things inspire you? 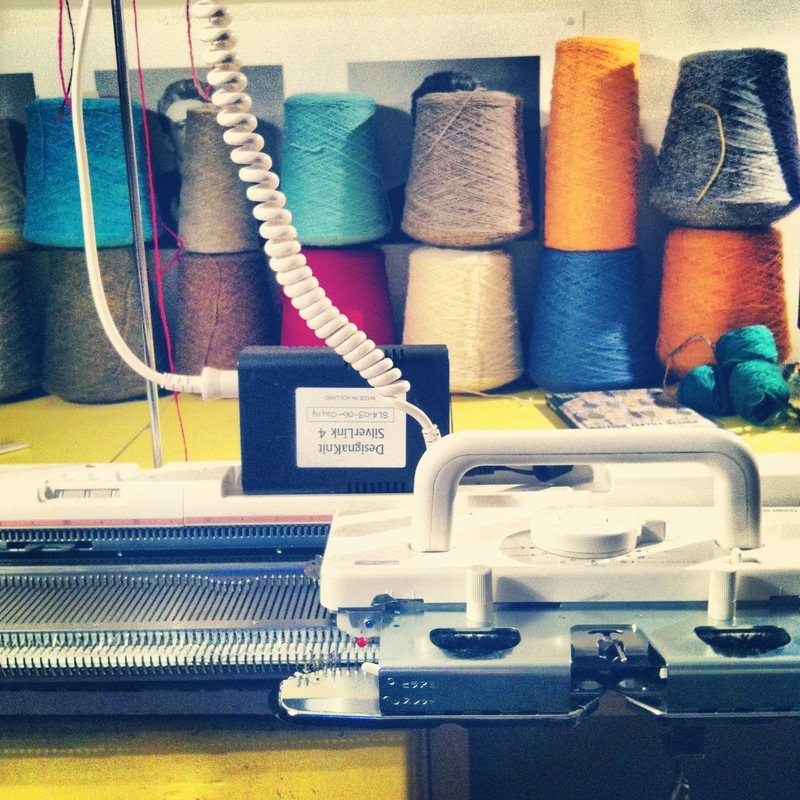 How do you find living, working and creating in Shetland? Are you customers mainly local? I would say Shetland is my main inspiration, but I also get a lot of inspiration from books, films, the internet….usual trapped islander things. I think though because Shetland is a strong influence it’s not necessarily modern Shetland that inspires me. Some aspects of our culture definitely still inform and come into my work but it’s more the Shetland of the past that inspires me. To me the type of person living in Shetland has changed quite a lot in recent history and I use photos and personal memory to get inspiration from that. I love living, working and creating in Shetland, if I wasn’t here, I don’t think I would be inspired by it though. I think it’s very important to be honest in craft making and unfortunately there are a lot of people who rightly or wrongly use Shetland without any connection to here. Its important that young people in Shetland are proud to be from here and get into crafts and skills that at one time would be seen as old fashioned. Yes I would say that most of my customers are local. I mostly work with word of mouth. If I was able to work part time and spend more time on my business I would definitely push my online presence and have an online shop etc. Would you say your a Shetlander/Scottish/British? I see myself as a Shetlander. I don’t feel a huge connection to England but I also don’t feel much of a connection to Scotland either. We are so far away from the Mainland that it’s quite difficult for me to feel part of anything. I only have a handful of close relations that are not in Shetland and I only have one grandparent that wasn’t from Shetland so most of my life is here. I am quite worried by the referendum though and I really don’t think Scotland is strong enough to be an independent country. Do you think we, in Shetland, have our own sort of ‘Northern Identity’? – We used to belong to Norway, now we belong to Scotland, but many people say ‘Im a Shetlander’. Following on from that, Do you think we still share similarities with Scandinavia? 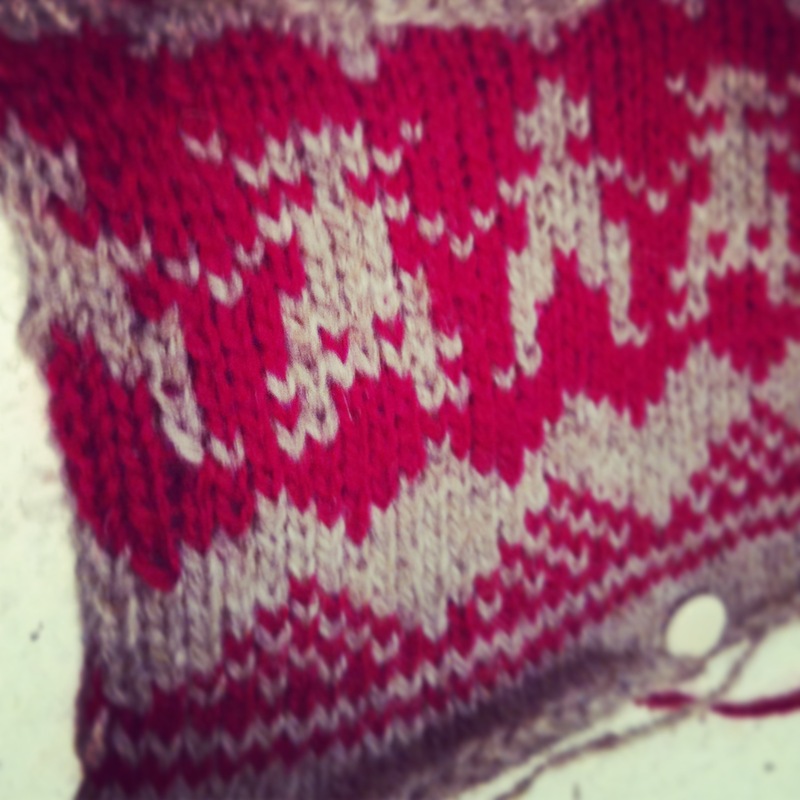 I think so, I love Scandinavian knitting and feel quite a strong connection to it which I think must be something ingrained in me because I don’t really know much about it! I really like the ‘Scandi’ way of living and style and I think just being so far north gives us a connection that others can’t really understand. You create knitted Items using Shetland Wool….how important to you is it that local designers use local materials like Shetland wool? Very important, I don’t see the point in living here, working here and being inspired by here and not using local products. I work in a Shetland Wool shop which means I am surrounded and inspired by Shetland wool all the time, but I really think the two go hand in hand. Depending on what your making and the thought processes behind it, the materials play a big role, especially for me. Where do your choice of colours come from? I am very inspired by the Shetland landscape, greens, browns, oranges, all colours from the land. Going to my Grandads in Ollaberry, the long drive gives me lots of time to look at the colours and think of combinations. It’s quite easy to say your inspired by the outside in Shetland but really I am. I don’t drive so I walk a lot and although some of Lerwick isn’t the nicest to look at I still see things I like. 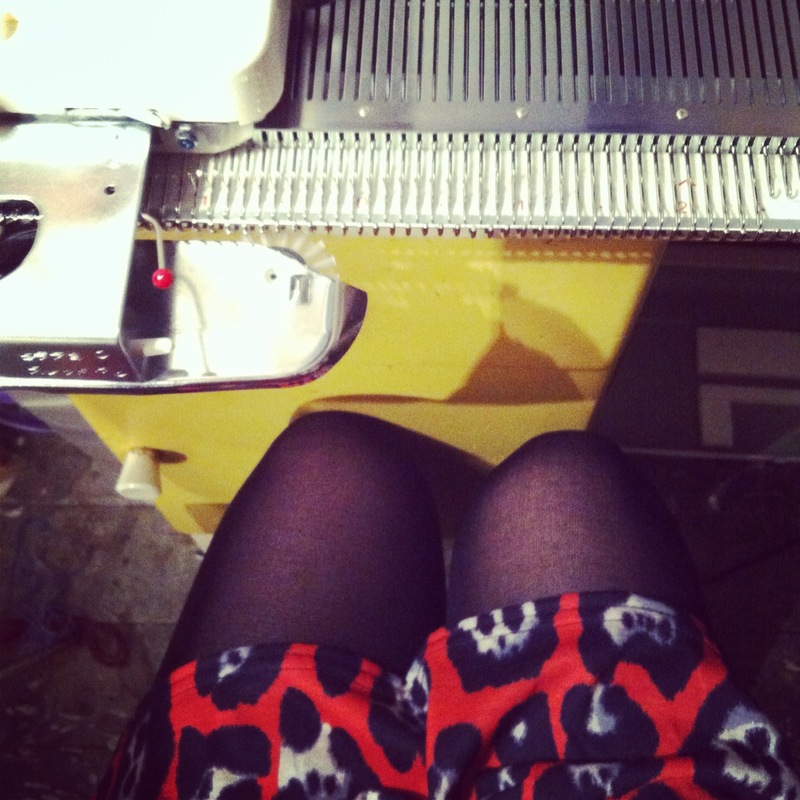 I am also very inspired by eras and the 60’s and 70’s come into my colour choices a lot. I have been having a bit of a colour slump and the moment and I am trying to get my self back inspired by colour in my knitting. Recently there has been a big push on ‘Made in Britain’ products – especially those linked to the fashion industry after the Tazreen and Rana Plaza garment factory disasters in Bangladesh. Do you think this could have a positive impact on Shetland in creating a unique sense of place through products to people not from here? In other words if people are becoming interested in ‘Made in Britain’ goods, they could then become interested by ‘Made in scotland’ heritage and consequently ‘Made in Shetland’? I think so, but in some ways I worry about the drain on the resources. Some places thrive on that kind of pressure but I don’t know if that would be the same in Shetland. I know in-relation to knitting in Shetland, the skills are definitely dying out and although it has come back into fashion there still aren’t enough people willing to take up a skill that just doesn’t pay enough. I think people, especially tourists are very interested in products which are made in Shetland and I think anything that benefits Shetland and brings money in our economy is a good thing. Also, Ella, I feel a sort of ‘duty’ to promote Shetland now through my work and this inspires me. Its taken a short while for me to realise how important Shetland is to us and that is because of my move down to the Scottish Borders, do you feel the same as a young Shetlander and now, a designer in Shetland? Definitely!! I think me and you spurred each other on when we were at college together and we are both carrying on our feelings at other ends of the country! Originally as you know I started with Machine Knitting but I am gradually building up my skills in hand knitting, it just wasn’t fashionable in the 90’s and although some bairns loved it at school I had no interest. My realisation that I was a crafty person came to me *quite* late in my teenage years and I have spent the time since then spreading the word! haha! At some points I was embarassed that I stayed home and didn’t go to Uni on the mainland but now I am glad I stayed and did what I had to do so that I could be honest in my making….and lets be honest…I couldn’t handle not seeing the sea!